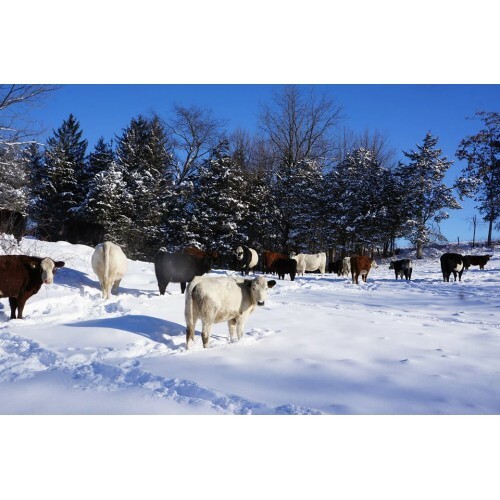 Meats from Lowland Farm have the full flavor and healthfulness of beef raised exclusively on grass and of pork raised on feed and the fruits of their foraging in open pasture and forest. 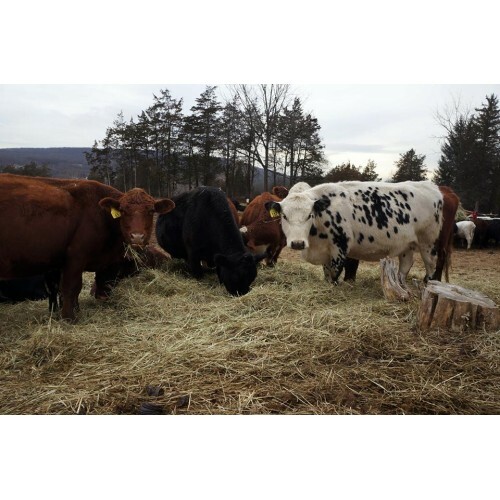 Lowland Farm’s cows, mixed breeds of Devon, Angus and British Whites, graze on a holistic rotational system maximizing health of the soil and the animals. 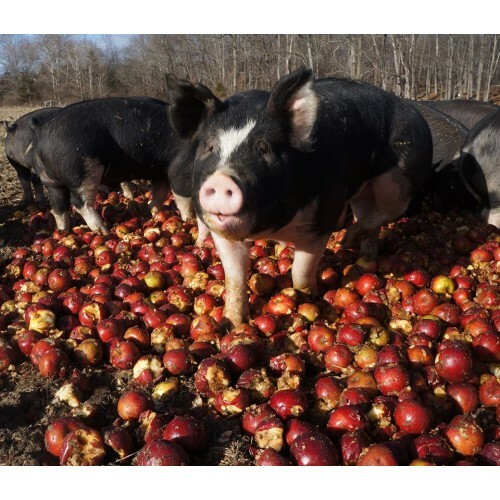 Pigs are heritage breeds best adapted to free-range living. 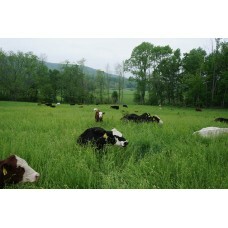 Animals live according to their natural instincts for roaming, grazing, and foraging. All meat products are free of antibiotics and growth-producing hormones.